This years Camp took place on Wednesday 27th July to Friday 29th August. This years Camp took place on Wednesday 29th July to Friday 31st August. This was once again a very enjoyable and successful event with 100 children taking part this year. The Camp was run over the 3 days comencing on Wed 29th July to Fri 31st Aug. This year's camp catered for all ages from U5 up to U14 level. The Camp provided boys and girls with a fun filled and action-packed 3 days of activity during which the activities were games based with strong emphasis on skill acquisition and are organised in an age appropriate manner with a view to optimising learning and enhancing friendships. The camps involved the coaching of specific skills of the game and the opportunity for children to put into practice what they have learned through small sided games. On Day two we had Kilkenny hurling star Joey Holden visit Castlepollard Hurling Club. Underage Chairman Seamus Sheridan, welcomed Joey and gave a brief introduction to the eager young players who were all waiting to meet the Kilkenny star. Joey then took the various age groups and mentors for coaching session and finished off signing autographs and posing for pictures with our young hurlers. ` He is a great ambassador for Kilkenny hurling and we wish him well in the Championship and thank himfor giving his time to us. On the last day of the camp we held a number of matches for the Terry, Moss & Helen Finglas Cups, followed by a BBQ and presentation of plaques, medals and club gear to all participants. The executive of Castlepollard Hurling club would like to thank all our generous sponsors; Millbrook Foods, Checkout Shop, Pat the Baker, Sheelin Meats(Finea), Simons Craft Butchers, Tesco Express, The Vegetable Shop, Moran’s Filling Statio. Special thanks also to Juvenile Club Chairman, Seamus Sheridan and all his officials, the coaches, the hard working ladies commitee and anyone else for giving their time voluntarily in both organising and making it such a memorable 3 days for all our young boys and girls. Thanks to Bruno Gaffney and Jimmy Fagan who had the pitches and Club grounds looking so well. On Friday afternoon there was two Cups played for with the following victorious Team Captains being presented with the Cups: (U10) Helena Finglas Cup, Capt. Caoimhe McCormack, (U16) Moss Finglas Cup, Capt. Abby McLoughlin. This years Camp took place on Wednesday 30th July to Friday 1st August. This was once again a very enjoyable and successful event with over 120 children taking part this year. The Camp was run over the 3 days comencing on Wed 30th July to Fri 1st Aug. This year's camp catered for all ages from U5 up to U16 level. The Camp provided boys and girls with a fun filled and action-packed 3 days of activity during which the activities were games based with strong emphasis on skill acquisition and are organised in an age appropriate manner with a view to optimising learning and enhancing friendships. The camps involved the coaching of specific skills of the game and the opportunity for children to put into practice what they have learned through small sided games. On the last day of the camp we held a number of matches for the Terry, Moss & Helen Finglas Cups, followed by a BBQ and presentation of plaques, medals and club gear to all participants. Later on in the evening there was a disco held in the Club Hall from 7pm to 9pm. The executive of Castlepollard Hurling club would like to thank all our generous sponsors; Millbrook Foods, Checkout Shop, Pat the Baker, Sheelin Meats, Simons Craft Butchers, Tesco Express, Darren McCormack, Sean Dermody, Jody & Linda Murray, Seamus Sheridan, Deborah Walsh, Jimmy Devine, JP Murray, Joan Welton, Darren McCormack, Angela Gibbons, Alfie Devine, Helen Gaffney, Pauline Finan. Special thanks also to Juvenile Club Chairman, Seamus Sheridan and all his officials, coaches, the hard working ladies commitee and anyone else for giving their time voluntarily in both organising and making it such a memorable 3 days for all participants. On Friday afternoon three Cups were played for with the following victorious Team Captains being presented with the Cups: Camogie (U16), Helena Finglas Cup, Capt. Loran Sheridan, (U12) Terry Finglas Cup, Capt. Aaron O’Leary, (U16) Moss Finglas Cup, Capt. Barry Dowdall. Presentation of special awards for most improved players, Girl & Boy were presented at each age level: U8:- Doreen Manley & Adam Moore. U10:- Ella Nea & Dylan Reynolds. U12:- Abby McLoughlin & Evan Roddy/TJ.Higgins. U14/16:- Emma Lancaster & Oran Hannon. This was once again a very enjoyable and successful event with over 120 children taking part this year. The Camp was run over the 3 days commencing on Wed 31st July to Fri 2nd Aug. This year's camp catered for all ages from U5 up to U16 level. The Camp provided boys and girls with a fun filled and action-packed 3 days of activity during which the activities were games based with strong emphasis on skill acquisition and are organised in an age appropriate manner with a view to optimising learning, enhancing friendships, improving physical & psychological well being. The camps are structured so that a different aspect of the game is worked on each day. The programme involves coaching specific skills of the game and the opportunity for children to put into practice what they have learned through small sided games. On the last day of the camp we held a number of matches followed by a BBQ and presentation of plaques, medals and club gear to all participants. Later on in the evening there was a disco held in the Club Hall from 7pm to 9pm. See next week’s issue and our club website for extensive photographic coverage. Congratulations are also extended to Juvenile Club Chairman, Seamus Sheridan, Pat Murtagh and all their officials for giving their time voluntarily to both organising and running such a memorable 3 days for all participants. 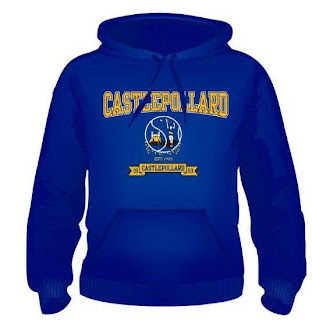 The executive of Castlepollard Hurling club would like to thank all our generous sponsors, ladies commitee, coaches and anyone elso who helped in any way to make this into such a success. Following on from last year's very enjoyable Hurling - Camogie Camp we are delighted to announce that this year's one will take place on Wed 1st Aug to Fri 3rd Aug. This year's camp will cater for all ages up to U16 level. Information and registration forms will be distributed through the schools in the coming weeks. Hoodies that Kids will receive. The Camp will finish on Friday evening with Hurling and Camogie matches followed by a BBQ and Kiddies Disco in the Hall.